The team at Gardening Northshore have been lawn mowing North Shore Sydney and surrounds for over 10 years. Our professional team have maintained a wide range of lawns, from small residential areas, to large lawns covering expansive commercial areas. Our staff know what it takes to keep your lawn looking new and tidy, and offer a range of services beyond basic lawn-keeping, including full garden and landscape makeovers, light pavement work, as well as hedge-trimming and tree removal. Call for a free quote for our lawn mowing services and free up your time on weekends, leaving your lawn care in our professional hands. Our staff regularly provide lawn mowing services in North Shore for both residential and commercial clients, and currently cater to a large roster of commercial clients in the North Shore area. Call us today if you have a commercial enquiry to discuss pricing to have your lawns maintained regularly. 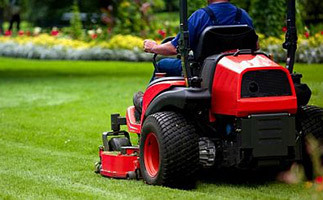 Whether you’re looking for lawn mowing north shore, lawn mowing ryde, chatswood, willoughby, or any other area located in North Shore, Sydney NSW, our staff can help. 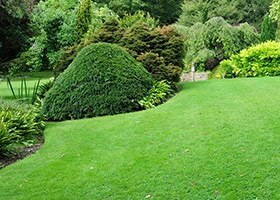 Call Gardening Northside today on 0422 812 612 for a free North Shore lawn mowing quote.